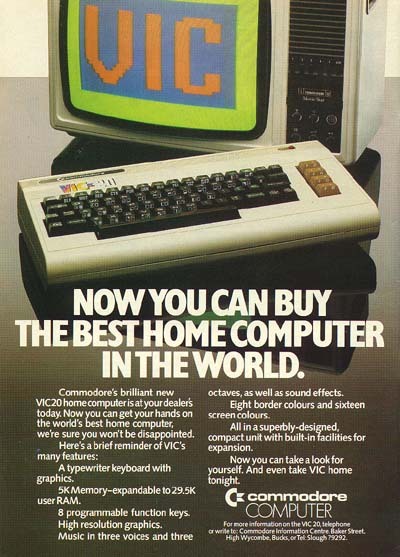 Selling a computer in 1982 had to be pretty tough. For one thing, they were super expensive. For another thing, you had (at least) two different types of customers. On one side, there’s a really informed audience that wanted to know what specs your company brought to the table that made you better than the other guys. On the other side, you had an increasingly interested consumer base that knew nothing about the technology and needed to know why they needed a computer in the first place. This set of Commodore Vic-20 ads does a good job illustrating the differences in marketing to each group. 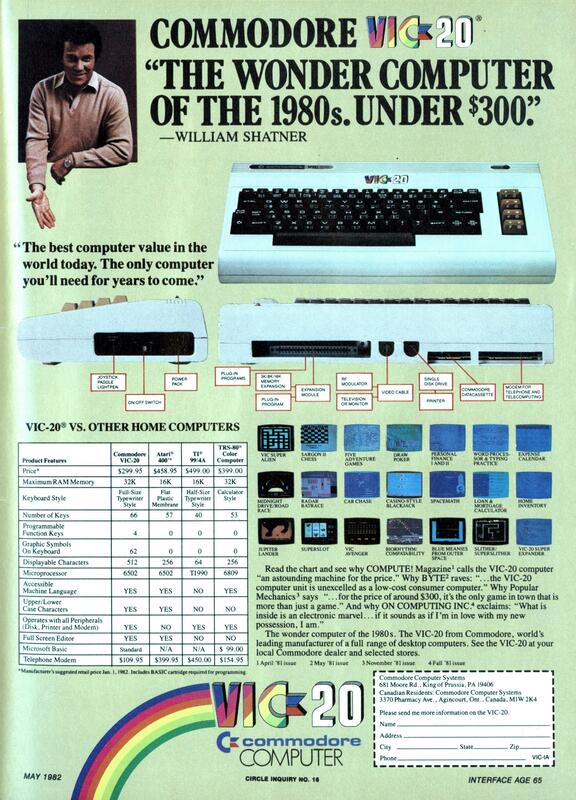 In this first ad you’ve got 1980s Geek-Jesus William Shatner running through detailed spec comparisons and software offerings in a very busy layout. And for the know-nothings, a clean and elegant ad that throws just enough jargon out there to get a few polite head nods and a consideration at getting this instead of an Apple.